News TV Channel / Hannibal TV is a privately owned television network in Tunisia, also known as HTV. The network has been broadcasting since 2005. On February 13, 2004, Tunimedia SARL is granted a 10-year renewable broadcasting license against a royalty of two million dinars per year. 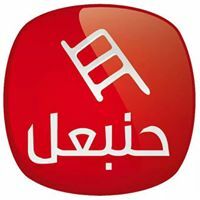 The group of the Tunisian millionaire Larbi Nasra launched Hannibal TV on February 12, 2005 at 7:00 pm (Tunisian time) but its official launch takes place only on 13 February (date of the first anniversary of the granting of the broadcasting license to chain). The programs begin with an hour late on the schedule announced by a reading of the Koran followed by a reading of a letter of the presidency of the republic and a multicast gala throughout the evening. The channel takes its name from a reference to the Carthaginian general Hannibal Barca and is the first private television channel in Tunisia until the creation of Nessma in 2007.